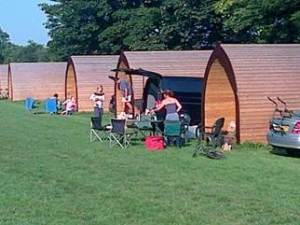 Picket Pods Cowbridge - Camping but not as you know it! 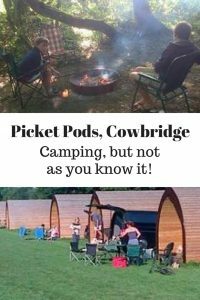 Picket Pods Cowbridge – Camping but not as you know it! Picket Pods Cowbridge is camping but not as you know it! 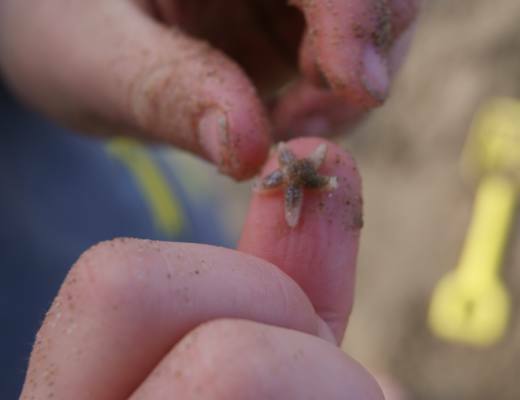 Find out how we got on and what we loved about Picket Pods. Each year on August bank holiday weekend, together with two other families sporting eight offspring between us, it has become tradition to pack three vehicles with bikes, stoves, tents, deckchairs, body boards, wet suits, footballs, sun cream, rounders bat and ball together of course plastic ikea storage boxes filled with copious bottles of wine plus a bottle of squash for the kids, and head off with rear wheel arches rubbing the tops of the tyres in search of a camp site by the seaside. This year we stayed at Picket Pods. Camping was so idyllic when described to us by Enid Blyton and if I’m honest, year after year we’d got swept away with the excitement of a jolly few nights under canvas in the moonlight. It took us several years of waking up in pools of water or collapsed tents, overnight storms, missing tent pegs, musty tent covers and stiff backs to realise that although we thoroughly enjoy the outdoor life and the day time bit of camping is generally such fun, we wanted to break away from canvas and revert to something more akin to the mid-life comfort requirements that we are accustomed to throughout the rest of the year. Then last year we discovered Picket Pods which is still camping but in a much more refined manner. Our group of kids were aged between 10 & 15 but there were other children much younger and they all still rave about their Picket Pods camping break and ask when we are going back. Situated in a beautifully rural location, the Picket Pods site is situated within walking distance of the local pub and shop at Wick and is a short driving distance from beautiful market town Cowbridge and several beautiful beaches. 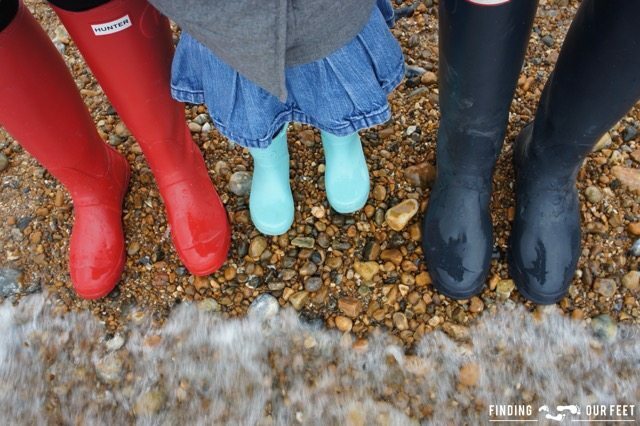 For those who like walking there are any number of beautiful rural and coastal walks leading from the site. The area is lovely for horse riding and cycling as well with plenty of quiet roads explore. Even the most cave dwelling of our teenage children thoroughly enjoyed the trip. We took a Pod for each of the parent couples and then although we had booked two pods for the children, they all ended up having a mini party and bunking down in one pod for most of the time. As the younger ones started to nod off, we dragged them off to get their heads down leaving the older ones uninterrupted, which made everybody happy. A fully kitted out kitchen and bathroom hut serviced all of our fundamental needs, whilst hosts Michael and Alison could not have been more courteous and friendly, offering hints and tips about the area together with hilarious anecdotes of local people and places that brightened up our evenings. The beauty of Picket Pods is its truly rural location. Deprived of their playstations and laptops, all children took no time at all to embrace the woodlands and fields around the site as a huge adventure playground. 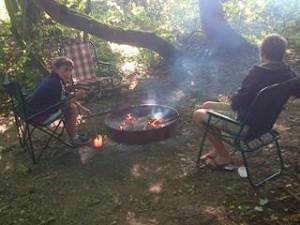 Discovering the numerous camp fire rings in various woodland glades, where they could light and maintain their own campfires for the night turned out to be one of their favourite August break activities of all time – even if they did need a good scrub by the time they finished. However, with each of the Pods having electric sockets and lighting, the site is not so rural as to leave you totally disconnected from the outside world. The fact that early wine-drinking activities in the sun with friends weren’t totally compromised by the usual interlude when each couple reverts to their own company to argue over which hole the male end of pole A should be inserted into, was a treat in itself.